Definitely Diet and Exercise. I eat healthily and walk most days, whether this is getting from A to B or going on a walk for an hour at the weekend, all walking is good. It’s all exercise. I listen to relaxing music when I find the radio too much and when I want to relax and unwind. I listen to positive affirmations: Louise Hay 101 Power Thoughts is one of my favorites. These can be bought on CD. I do meditation every evening and drink herbal tea. I take time to go to a Coffee meetup each week. This gives me a social outlet where I can meet people and also gives me a chance to practice and improve my social skills in a relaxed setting. It also is an excuse to dress up and put on some make up, which is all good. I make time to watch a movie at the weekend or read a book. Don’t Forget These Tips from Our Kids! Play with my Dog and Cat. Play Dress Up. Keep Stones in my Pocket. Build with Legos®. Be Upside Down. Make Believe I’m a Horse. Draw Hills with Sunsets. Chew Gum. Kick a Ball. Go Down the Stairs on my Stomach. Snuggle with my Parents. Ride my Bike. Make a Fort. Tell Silly Jokes. Make my Cat Dance. Climb a Tree. Read a Book. Run! 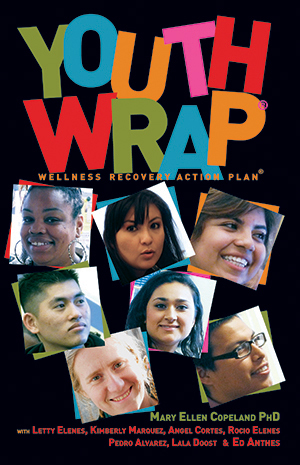 This WRAP presents a system that helps young people make their lives more the way they want them to be, to choose and enjoy more of the things they want to do, and to get through the hard times that can come with finishing school, finding work, and moving into new situations for home, school and family. Designed for children ages 7–12. However, with assistance, younger children can use it. 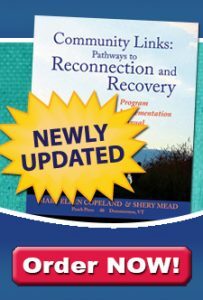 This delightful book will guide a child through the process of developing their own Wellness Recovery Action Plan. It will help them discover all the things they can do to feel good, stay well, and even feel better when the going is hard. It starts with listing all those good and fun things that they can use to develop their action plans, like running with the dog, coloring, and talking to a friend. 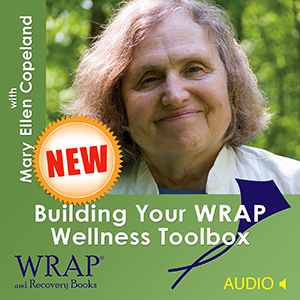 Email us your Wellness Tips at info@mentalhealthrecovery.com or go to Facebook and share your wellness Tools.